Michael S. Vartan was born on 27 November 1968, in Boulogne-Billancourt, Hauts-de-Seine, France, to Doris, a painter and artist of Polish-Jewish descent, and Eddie Vartan, a musician, of Bulgarian, Armenian and Hungarian-Jewish descent. He is a French-American actor, best known for his role of Michael Vaughn in the television series “Alias”, and of Dr. Tom Wakefield in the series “Hawthorne”. A noted actor, how rich is Michael Vartan now? Sources state that Vartan has amassed a fortune over $8 million, as of late 2016. His net worth has been established during his acting career which began in the late ‘80s. Vartan’s parents divorced in his early childhood, and he moved to the USA with his mother. However, he soon returned to France to live with his father in Fleury, Manche, until his high school years. At the age of eighteen, he moved back to the States to avoid French military service, and pursue a career in the arts instead. He went on to take acting classes at the acclaimed Lycée Français de Los Angeles in L.A.
Vartan made his big screen debut in the French film “Un Homme et Deux Femmes” in 1991. The following year he appeared in another French movie, “Promenades d’été”, then in 1993 he played a French soldier in the Italian film “Fiorile”, which brought him much attention. By the end of the decade, he had landed roles in various American projects, such as the films “The Pallbearer”, “The Myth of Fingerprints” and “Curve”, as well as in the TV series “Spender”, “Fallen Angels” and “Friends”. He was praised for his performance in the 1999 romantic comedy film “Never Been Kissed”, starring Drew Barrymore, and all contributed to his popularity, as well as to his net worth. Vardan’s popularity continued to grow in 2000, as he landed major roles in the films “It Had to Be You” and “The Next Best Thing”, and had a recurring role in the TV series “Ally McBeal”. He catapulted into the national spotlight in 2001, when he was cast in the popular ABC television series “Alias”, playing CIA agent Michael Vaughn for five seasons until 2006. Aside from boosting his popularity, the show also provided him with a sizable income. In the meantime, he landed major parts in the films “One Hour Photo” and “Monster-In-Law”, and appeared in the series “Kitchen Confidential”. In 2007, he was cast in the main role of James Walker in the short-lived ABC television series “Big Shots”, followed by a starring role in the Australian big-budget film “Rogue”. All added to his wealth. Vartan bolstered his international fame in 2009, being cast as Dr. Tom Wakefield in the TNT medical drama “Hawthorne”, replacing Jeffrey Nordling who played the part in the pilot, for three seasons until 2011, additionally improving his fame and net worth. In the years since, Vartan has remained a regular both in films and on television, with prominent parts in films such as “Demoted” and “Colombiana”, and recurring roles in television series including “Ring of Fire”, “Bates Motel” and “Satisfaction”. He is currently involved in filming the television series “The Arrangement”, announced to be released in 2017. Speaking about his private life, Vartan married Lauren Skaar in 2011, but the couple divorced three years later. Sources are unaware of his current relationship status. 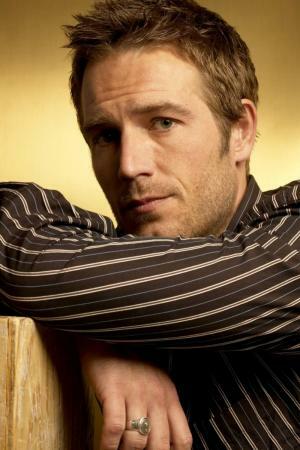 Education Lycée Français de Los Angeles in L.A.
Michael Vartan: 25 Things You Don’t Know About Me! Would Michael Vartan Get Back Together With Ex Jennifer Garner?